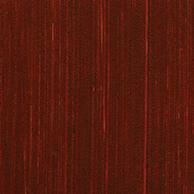 Burnt Sienna is one of the natural earth iron oxides, of such antiquity and usefulness it barely needs an introduction. It creates rich but subdued pinks, which reveal how transparent and warm are its undertones. Its Tint Power is noticeably stronger than the more opaque Earths.